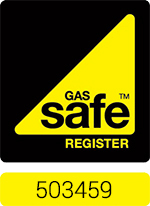 As fully qualified Gas Safe engineers we understand the importance and dangers of gas. your safety is our priority and we will do whatever it takes to endeavour this statement is fulfilled. Something a lot of people don't realise is that all your gas appliances NOT JUST YOUR BOILER need servicing every year to ensure they are working correctly, efficiently and above all safely for you. We offer a yearly reminder as we know how busy day to day life is and things like services become very quickly forgotten but actually can become very dangerous if left and not looked after. We offer a 24 HOUR EMERGENCY CALL OUT - 01529 241652 and all gas emergencies take priority over anything else! With this in mind a Carma plumber aims to be with you within 2 hours of your call and will advise over the phone if there is anything you can do before we get there to make the emergency as safe as possible. Almost all of the time we can find the fault and get your boiler or appliances up and running again without the need for a whole new installation. Carma Plumbing engineers would much rather fix your minor fault for you than just advise on a new system. 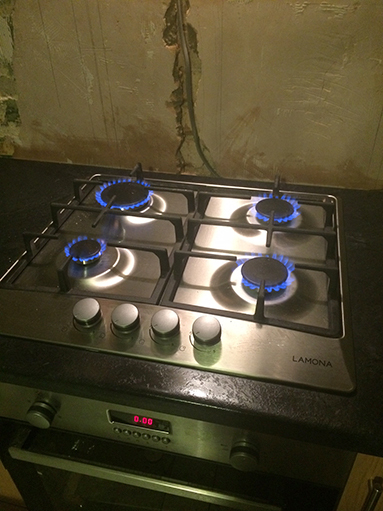 The services Carma Plumbing and Heating offers for domestic Gas are: full central heating installations, servicing, break downs/faults, landlords certificates and safety checks, installations of gas fires, cookers and hobs. 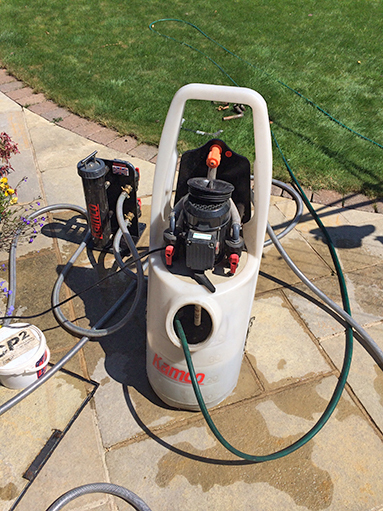 Carma Plumbing and Heating are Kamco trained engineers and offer a full power flushing treatment for your heating system. This is something that when done correctly (as we do) has amazing results for old systems. 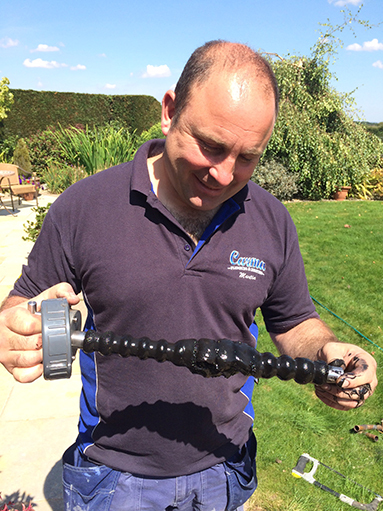 A power flush can restore circulation and efficiency to the heating system by removing internal corrosion, subsequent formation of rust, sludge and scale deposits. It purges them from the system and replaces aggressive water with clean water, chemically treated with system safe corrosion inhibitor to prevent future problems. 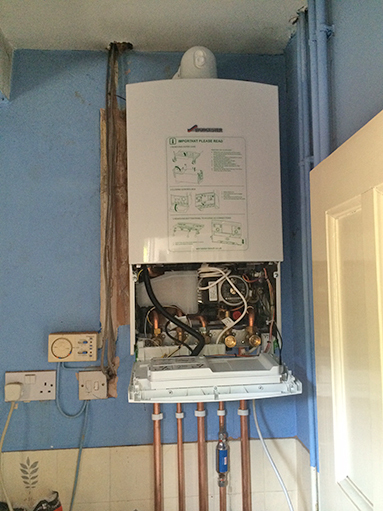 All of our central heating systems are installed causing you as little disruption as possible. 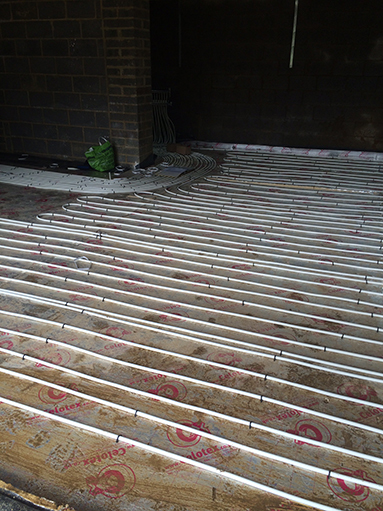 Timescales can vary for works as sometimes an installation can be completed in a day but generally never takes more than 7 days. Sometimes just a like for like boiler swap is enough but sometimes a full installation of pipes, radiators and a boiler may be needed. We pride ourselves on the neatness of our pipework and have often had comments about this. There are many options when it comes to gas boilers and at Carma Plumbing and Heating we will always do our very best to get the correct one for you by explaining the differences and ensuring all your needs are met. With Domestic gas there is no job too small or too large and we like to think our customers know they can call on Carma Plumbing and Heating at any time even just for some advice, after all we are the qualified professional engineers so something which may seem very daunting to you can often be quite easily put right. Call Carma Plumbing and Heating today on 01572 820171 or 01529 241652. - Pipework RPH caravans LPG. Laying and installing the pipework correctly and according to British safety regulations needed for any LPG gas appliance within a caravan. - Combustion performance analysis NG and LPG. performing combustion analysis is to check the fuel gas and oxygen is a correct mixture to ensure complete gas safety. - Cookers NG and LPG. Install, service and repair a cooker to the correct safety and building standards. Carry out safety checks. covering the rutland, Leicestershire, Cambridgeshire and Lincolnshire area. - fire/space heaters NG and LPG. Install, service and repair a fire/space heater in the rutland, Leicestershire, Cambridgeshire and Lincolnshire area in accordance with the correct safety standards. - Central heating NG and LPG. Install, repair and service a central heating system in accordance with gas safety regulations and building regulations. Carry out any safety checks needed to ensure safety. we cover the Rutland, Leicestershire, Cambridgeshire and Lincolnshire area. - Flue liners. To install and test a flue liner is working correctly and efficiently according to chimney safety standards. - pipework NG and LPG. To analyse and size the correct pipework in accordance to safety standards then carry out installing and lying the pipes to be connected to any gas appliance or boiler. - Range cookers NG and LPG. Install any range cooker correctly with accordance to safety standards and carry out the relevant safety checks needed. Covering the Rutland, Leicestershire, Cambridgeshire and Lincolnshire. - Unvented hot water cylinders. 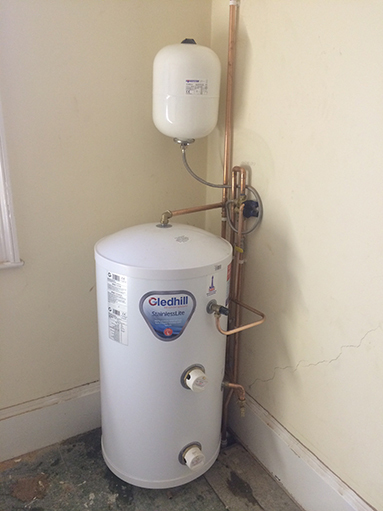 a pressurised hot water system Install, service and repair a unvented cylinder with all the correct pipework ensuring all the correct tests have been done for an efficient and safe working system. Covering the Rutland, Leicestershire, Cambridgeshire and Lincolnshire area. - vented cylinders. An unpressurised system installed, service and repair and safety checked to be in compliance with safety regulations. Covering the Rutland, Leicestershire, Lincolnshire and Cambridgeshire area. - Water heaters NG and LPG. Install, service and repair water heaters covering the Rutland, Leicestershire, Cambridgeshire and Lincolnshire area.